"He has been readily flexible to adjust to our changing schedules and readily accepted request for special cleaning immediately. Carpet cleaning and vinyl walls cleaning. I can wholeheartedly say that ProCarpetService cleaning has more than met our expectations and am fully pleased with his service. 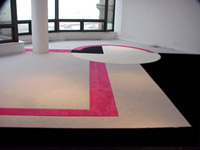 Sincerely, Dr Gorsh, Tribeca, Manhattan 09.2013"
".....WOW, the carpet and area rug came out great. There was many spots that I did not think were going to come out but these guys obviously know what they are doing. Also I like the way they run the company - onetime and no hidden charges. They also gave us an exact quote over the phone. We will defiantly try to refer to anyone who needs carpet cleaning. Alpine NJ , Zipursky. 07/2013"
".....Procarpetservice Carpet Cleaners is a great company. The technician was prompt, courteous, and knowledgeable. He did an excellent job and got rid of some stains that I thought would never come out. He also made some suggestions that would help keep the carpet clean and last longer. I felt like I got a great deal and will refer them to my family and friends. 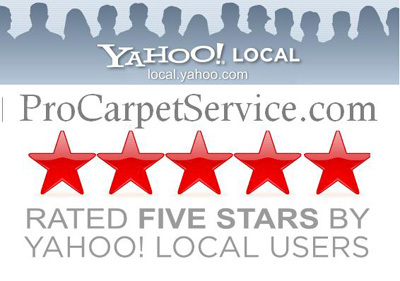 Best Regards Mary A, Manhattan:)"
".....ProCarpetService is a very reliable New York and New Jersey carpet cleanig company, we used the because of their perfect reviews everywhere. . They cleaned our oriental area rug to new and most importantly had not no hidden fees and up selling. Call them if you want an honest quote over the phone or a free estimate at you place..... Very cool. Thanks Stacy S, Englewood Cliff. NJ, 09/2012"
".....ProCarpetService really stands for its name. This company really knows the industry. What we liked most about them - was that they were able to give a quote over the phone and it was accurate! We had some bad experiences in the past with "bait and switch" companies. The man that came over was clean, professional, on time and really worked hard to do their best on our carpets installation . The price was slightly more than most companies but if you want it done right with their 100% work Guarantee, Call ProcarpetService for any service you need! . ---- Everything perfect. Thank you. George D. North Bergen NJ. 11.27.2011"
".....We just finished decorating our new kitchen, and one of my kids was doing homework and somehow he spieled the Correction Fluid all over the new kitchen chair and carpet. Right the way I research Google for carpet cleaners and I found NJ Procarpetservice,I called and the technician was in my place in a matter of hours , and removed all the stains and before on the phone he even give me some advices how to treat the stains! Oooooo he really saved my day, and that was last Saturday at 6:30 pm in Westchester NY! BIG THANK YOU!!!  09/2011 "
".....Thank you so much for your cleaning services and let me just tell you, we were very impressed with the big difference in the overall appearance of our carpet and just wanted to thank you again for your services. I'm so glad we hired you and we certainly hope you will work with us again. Kay, Hoboken,NJ, 08/14/2011"
"I am a happy satisfied costumer and I want to recommend Procarpetservice Company to everybody who want fast and good cleaning John. Hoboken, NJ, 04/2011"
"The Technician came and did a great job with our sofa, it was pretty dirty but he used the deep cleaning technique and removed all the dirt and stains that my little girl did to our design sofa. He even used safe detergent and protection for the sofa .. we are going to use him again. Allison. Fort Lee, NJ, 12/2010"
"I got the postcard in my mail and I wasn't satisfied with my pervious carpet cleaners, so I used Procarpetservce, ....and I am happy that I did, they are reliable, professional, punctual and this is what I need.thanks Procarpetservice, Mara, Edgewater NJ, 12/2009"
"Young working team, ready to answer all the questions I had about there service.... 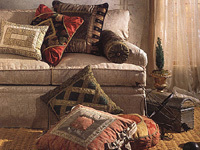 I cleaned my drapery and upholstery with them, they came and did a fantastic service. 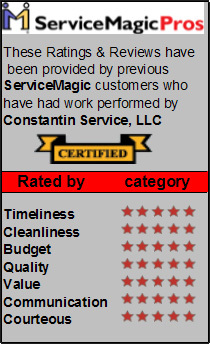 Kessler, Edgewater, NJ, 03/2009"
"Professional honest and excellent service.Not overcharged! I asked for a phone estimate ,Floyd explain to me some carpet cleaning methods and gave me the price 100%accurate I did not pay one more penny after he finished the job.He's service was first class ,all my stains are gone and everything is fresh again in my house.Thank you very much for everything ,Rick Dumont NJ 08/2008"
"Just a quick line to thank you for taking such good care of my suite, you knew I was worried after the horrible experience I had with a previous cleaner but I must say the whole process was smooth from start to finish and the results are fantastic.See you soon.. Mrs Wallis U.E.S.NY.07/2008." "I must admit I was a little bit worried about sending our rug away to be cleaned but you made the whole process so simple and kept in touch with us throughout.The results made the whole thing worth while and I will be sending you my other rugs in the near future... Mrs Baldwin Alpine NJ.07/2007"
"Of course I already knew of your carpet cleaning services from my aunt who recommended you but I had no idea that my 18 year old carpets would come up so clean and fresh.I promise I will not wait so long next time... Miss Johnston Downtown, Manhattan, NY.08/06"
ProCarpetService is a NJ and NY "carpet and sofa cleaning" company that knows what is doing with your carpet and upholstery, certified and insured. Enjoy your clean carpet, professionally cleaned & treated with special care by Constantin.